Make plans to join our book fair March 8-15, 2018. Let the Tiger Games Begin!!! As usual, the amount raised is the main source of income for our PTO to support our school. Email masoncrestruns@gmail.com with questions and/or concern. Get your tickets today to view SCREENAGERS! Join us on Thursday, October 19th at 7pm for a viewing of Screenagers. This documentary film is about the impact of the digital age on children and how to help them minimize harmful effects and find balance. Click on the link below to get your free tickets. Join us for a night of bingo, pizza, prizes and family fun at the MCES’s Back-to-School Bingo Night from 5:30pm – 9:00pm on Friday, September 29th. This year’s Bingo Night will feature a silent auction as well. Pre-ordering is available. Be on the lookout for order forms in your Tuesday folders. Please contact Michaela Nuckels at mnuckels@gmail.com if you have donations for the Bingo Prize Table or drop it off to the school office by September 26th. Thank You! It’s Bingo Night at Mason Crest Elementary School on Friday, February 24, 2017 at 5:30pm. Come join us for tons of family fun and chances to win great prizes! We are also looking for volunteers to help. Please follow the link below to see volunteer opportunities. As always, we really do appreciate any and all help that we can get. So please sign up and help us create a great night of fun and success! Join us in the Mason Crest Cafeteria February 1st, from 5:30 – 6:30pm for information and registration details. The Coaches will be Christie Yard, Alisha Davidson, Becky Fornaris and Karol Henriquez. Practices will be held at MC on Tuesdays and Thursdays from 4-5pm. Donate to the MCES PTO Election Day Bake Sale November 8th! 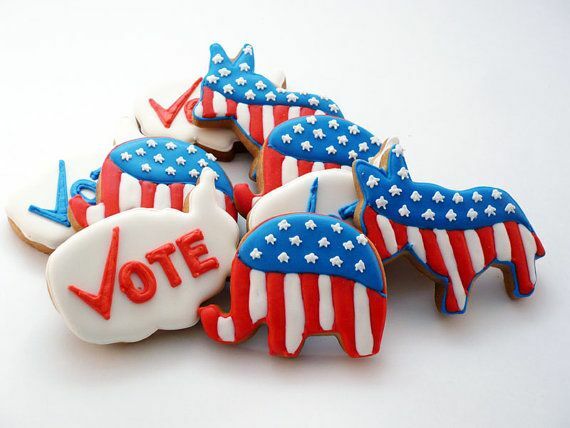 Please donate baked goods to sell during election day. Whether it’s homemade or store bought, we appreciate them all! Feel free to share this message with your friends and help make this bake sale a big success! Please contact Crystal at crystalmkrason@hotmail.com or 740-629-4301 with any questions.